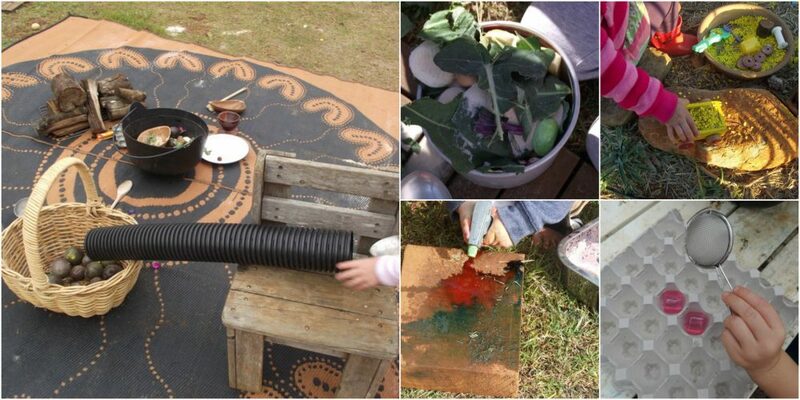 How to use open ended play materials & loose parts outdoors. 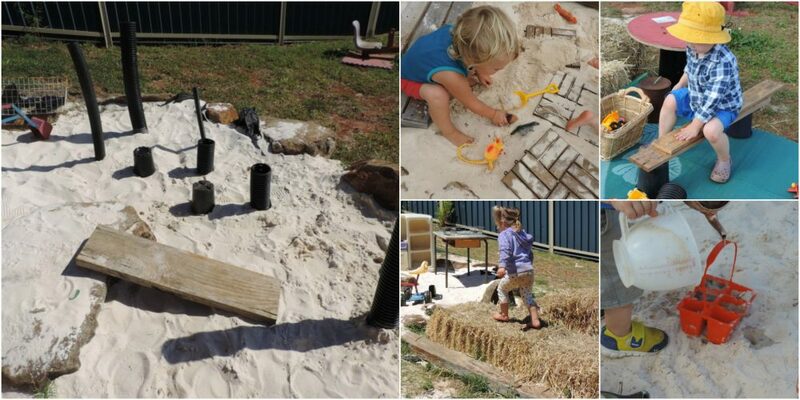 Providing open ended play materials allows children the opportunity to be curious, creative and direct their own play. There are no rules or expectations for how a play item must be used, no specific steps to follow, no right or wrong way, no ultimate goal to reach or achieve. 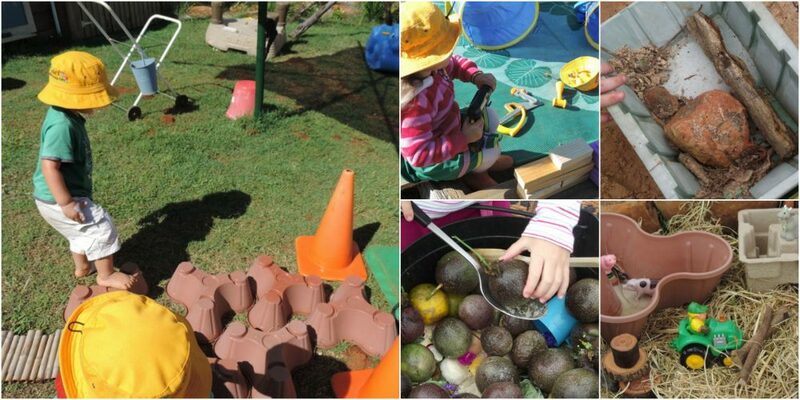 An environment filled with safe, yet challenging open ended materials that provide ongoing opportunities for open ended play in the early years is vitally important. 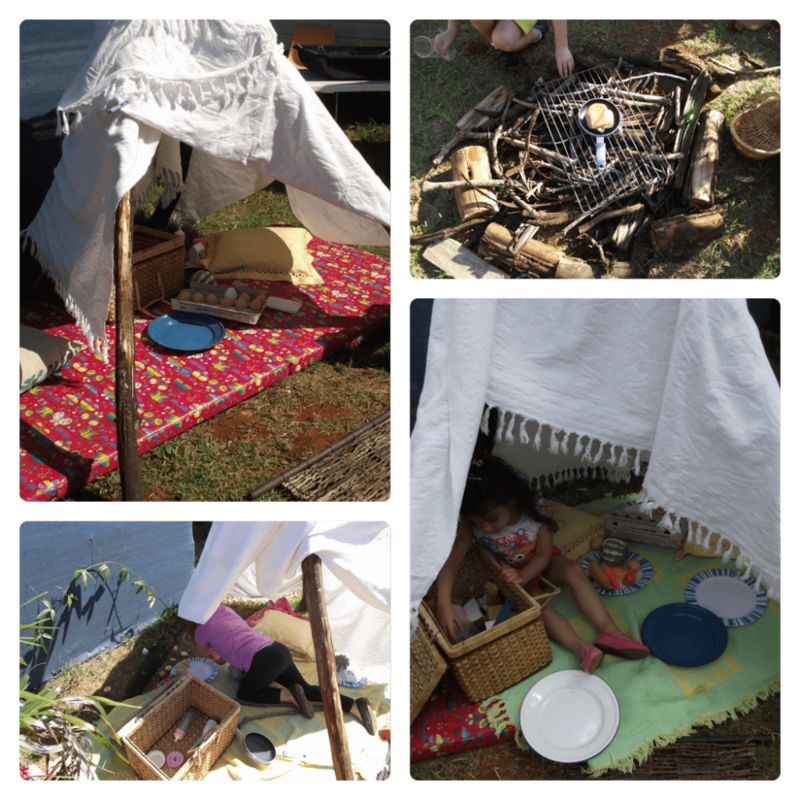 It encourages dramatic play, language skills, role play, problem solving, teamwork, games, experimenting with cause and effect, trial and error and builds creative thinking. It is also a very budget friendly way for educators and parents to provide play resources as simple is best and you can use many recycled materials. 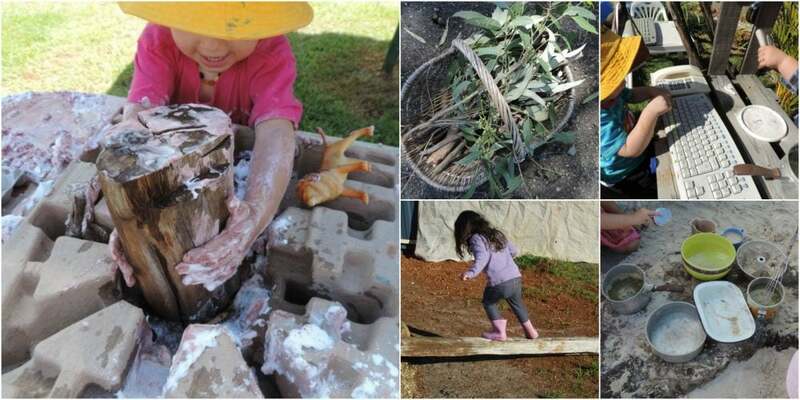 What are open ended play materials? So what are these magical open ended play materials that can offer all of those wonderful learning outcomes? To put it very simply they are basically just materials you might introduce that have no specific set of directions to follow. There is no particular right or wrong way to use them and they can be used alone or combined with other materials. Unlike the electronic toy or game that might do a couple of set things when you press the buttons or the train that only goes around the track in a circle a child can decide how they want to manipulate the open ended material and build upon their own play. They become the scientists, engineers, inventors, artists, explorers and clever investigators. 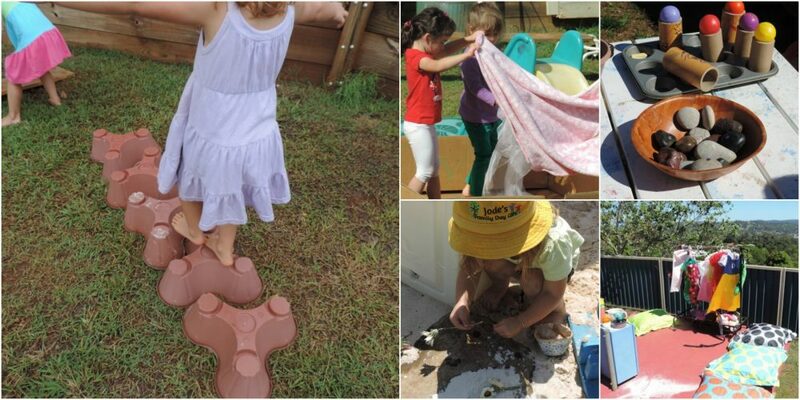 Children of all ages can move, carry, redesign, recreate and combine open ended materials in any way that they want. They might decide to work alone with the materials or in a group and essentially, children become active participants in their own learning. 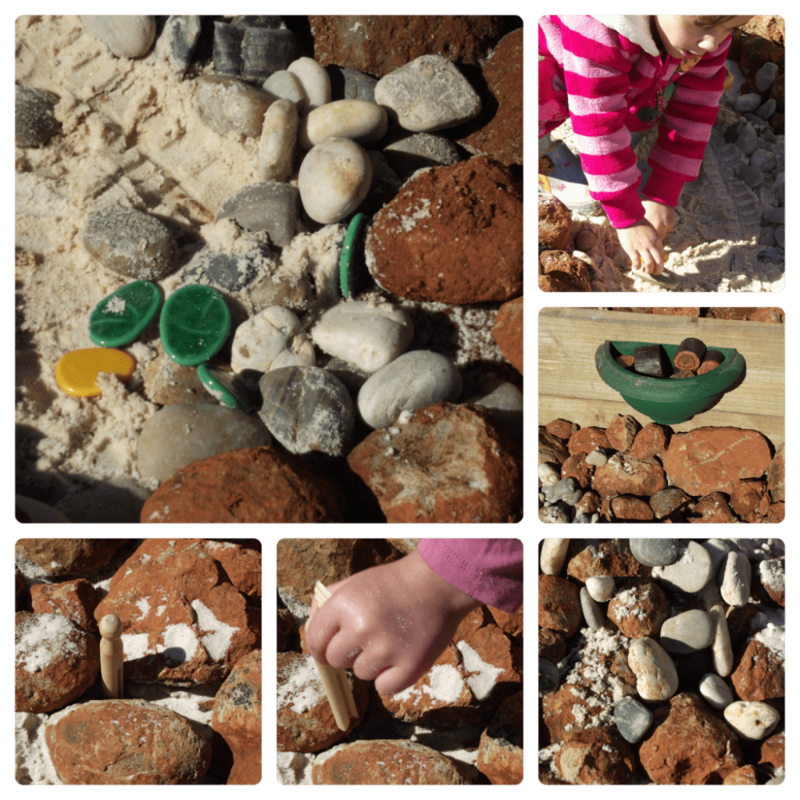 Offering access to these type of materials everyday also supports children’s early years schemas – those patterns and repeated behaviours children display often as they learn through their play. Open ended materials have always formed a core part of my planning and experiences offered to children – both indoors and out and I’ve included photos of just some of the favourites throughout this post to help you visualise the possibilities of including more of these types of materials into your program or with your own children. 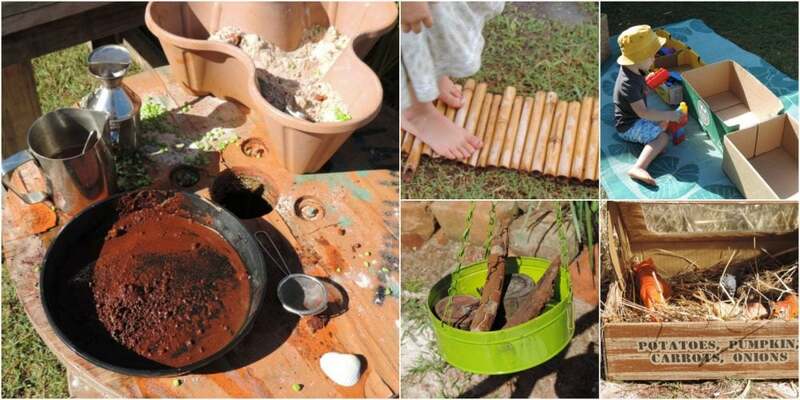 Open ended materials are sometimes also called loose parts and can encompass a wide variety of resources. They don’t have to just be of natural origin, they can also be manufactured. They can be large (but moveable) or small. See the list at the end of this post for some ideas to get you started with your own collection. They don’t ever need to be expensive! One of the wonderful things about using these materials for educators – especially those working in mixed age group environments is that they are suitable for all ages as children will manipulate and use them in different ways according to their own specific ages and stages of development – they can also use them in different ways day after day! Rather than the box of baby toys that usually becomes useless after a certain age, open ended materials continue to be flexible and offer increasing opportunities for creativity and open ended learning. 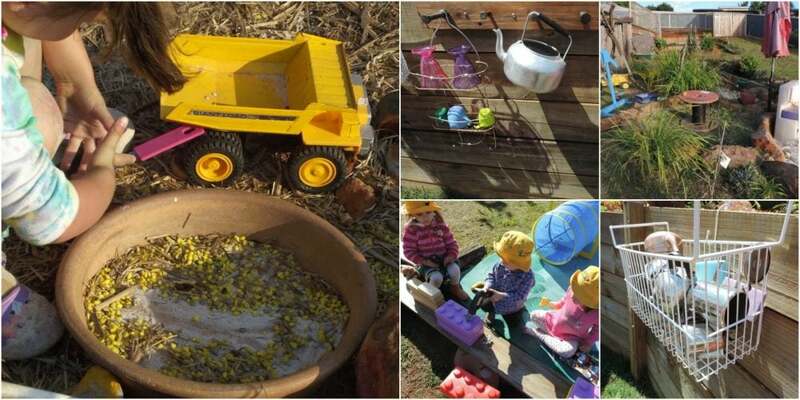 Why include them in the outdoor play environment? 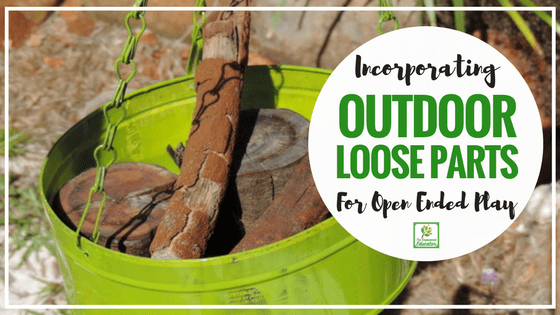 Are open ended materials and loose parts only suitable for indoor classroom and play activities?Definitely not – they can play a huge role in outdoor early learning environments! When we only provide an outdoor play area with fixed equipment we can inadvertently limit children’s creativity, movements, urge to experiment and problem solve. I’m certainly not saying we shouldn’t have fixed resources in our backyards and play areas as they play a role too but ideally there needs to be a balance of fixed and open ended movable materials. This doesn’t need to be expensive as most open ended materials can be sourced for little or no cost so it becomes very cost effective for educators. Educators have asked me how to add loose parts and open ended materials to their program planning so it doesn’t look like their are ‘doing nothing’. Just because an activity or play experience isn’t planned out in advance does not mean it cannot be included in some way on your plan. 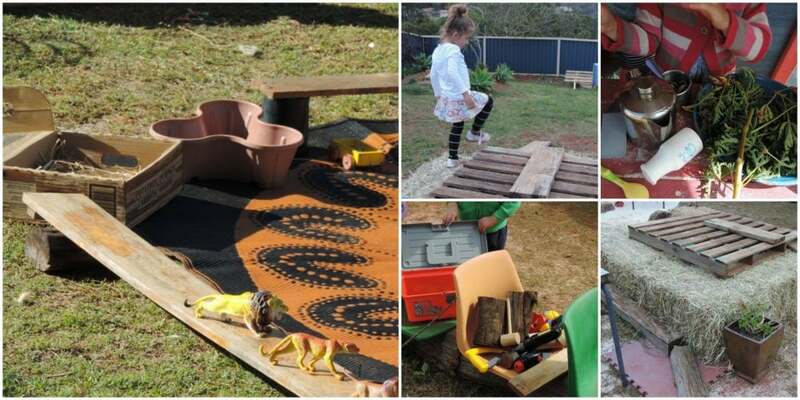 You can easily incorporate open ended play and materials into your planning by simply listing some of the materials you have made available for the children to choose from that week then follow up with some brief reflections and observations about how the children used the materials and what learning you saw evolve through this play. 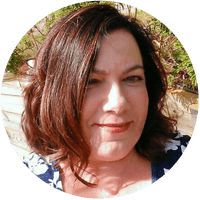 You might write this in a diary or even on the back of your program – keep it simple and to the point and make sure any observations (group or individual) that you record are meaningful and stand out to you for some reason. I still like to have some intentional teaching experiences and craft activities planned on my program but open ended materials and play also forms an important part of my documentation and the plan evolves as the week proceeds. 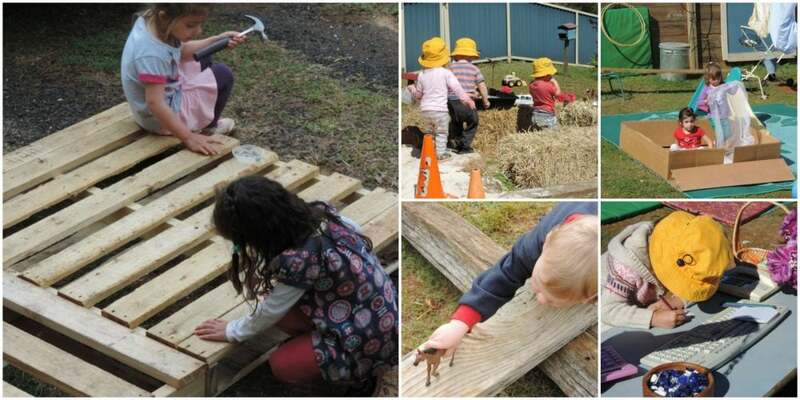 When we include open ended materials or loose parts in the outdoor play environment it allows children to take a few risks, challenge themselves and feel as though they have some control of their environment. They can extend their own play, explore, carry, take materials apart and put them back together, rearrange to suit their needs, work out how to move heavy materials …they decide on how the materials will be used. It can be fascinating for adults to watch and provides numerous opportunities to observe and document the many learning outcomes that are being achieved. 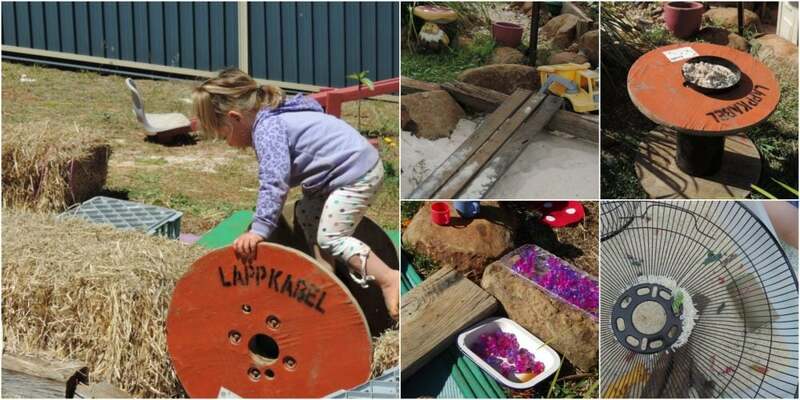 Even with small spaces and little storage space you can find creative ways to introduce larger loose parts into the outdoor play environment. For more inspiration take a look at the children playing here on Stimulating Learning with Rachel. So much creativity, building and thinking happening with those fabulous loose parts! 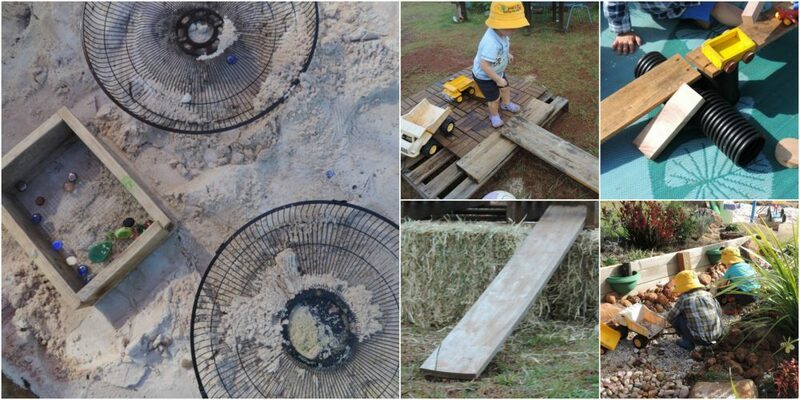 How to get started using open ended play materials in the outdoor area. 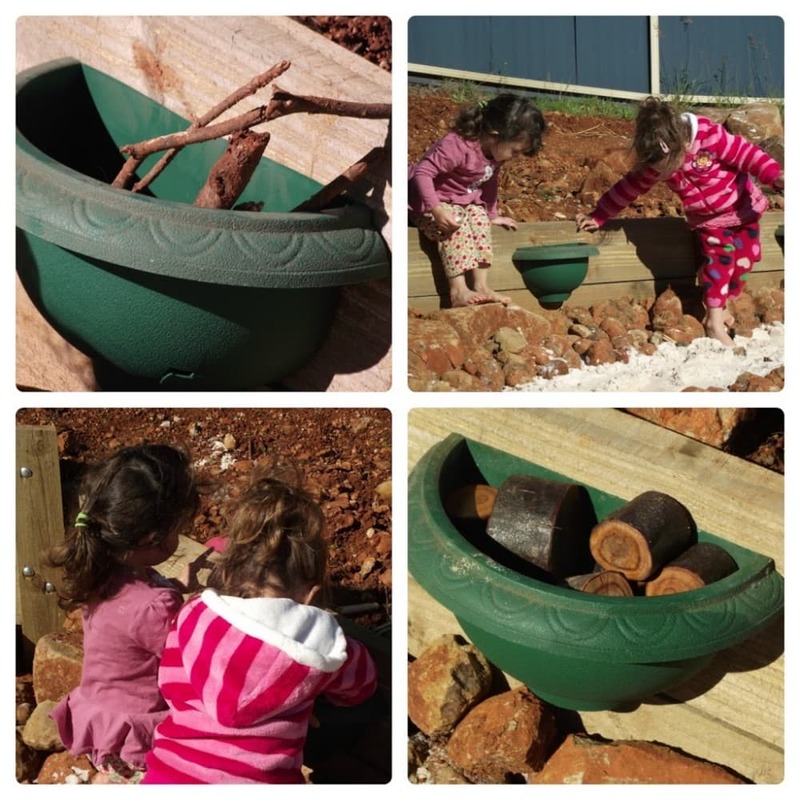 Although the term ‘loose parts’ seems to be a bit of a catchphrase in early childhood at the moment it is not new and we were incorporating these open ended materials into play when I first began in childcare 30 years ago. So it’s not something that should overwhelm you – introducing open ended materials into your early learning program will actually make your job easier, allow you to spend less on resources and equipment and provide moments for you to step back and observe rather than spending every minute planning and directing the play. So how can you get started? My advice is to start small and just make a few changes at a time until you feel more confident in how to use and present access to the materials. Begin writing a loose parts wishlist and think about ways you might be able to source those materials and involve families in your hunt too. Build your collection from visits to parks, beaches, bushwalks, recycling centres, op shops, markets, garage sales, $2 shops, asking family and friends, treelopping and mulching services, local council, reusing packaging materials. Keep in mind that offering open ended materials to your children might actually involve a little trial and error depending on the ages you have in care and the materials you have decided to use. Some things will work one day yet not the next – don’t give up! You can still use open ended materials to set up some basic invitations to play if you enjoy doing that – just don’t direct the play if they decide to take it in another direction! Stand back and see what they decide to do with what you have set up. See your invitation as merely a launchpad. Make sure you are available in the outdoor environment to provide support and help solve problems if the children need and request it. Encourage discussions – how else might they use the materials? What might they need to continue with their project? Decide on a storage solution. I like to keep open ended materials for outside play stored in baskets in a small shed in the yard. 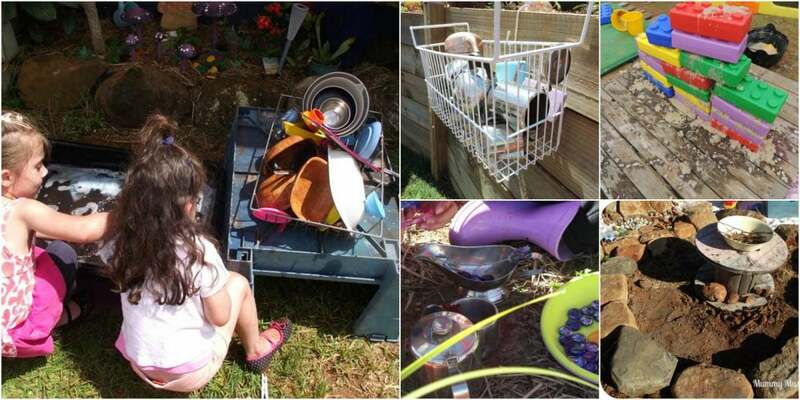 I’ve also used baskets hanging on fences that stay out in the weather and small pots nailed to walls at the children’s level and filled with loose parts that are always accessible. Use what you have available and try to keep organised so you know what you have available. Think about what you will have available this week and what you might need to change. Is there some fixed equipment you might be able to do away with to make more storage space instead? Be aware at all times of safety precautions all educators should take in regard to using materials including possible allergies and choking hazards. And finally (this is a hard one for many of us!) allow opportunities for the outdoor space to look ‘messier’ and less ‘arranged’ than you might be used to. 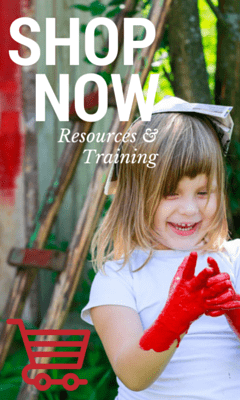 I know this can be more difficult if you are a family day care educator using your family backyard but even if you can leave the materials for a day or two so the children can keep returning to their play and projects it will be valuable. Ask yourself if everything really needs to be packed away at the end of the day or are there some things that could be left out ‘ready to play’ tomorrow? 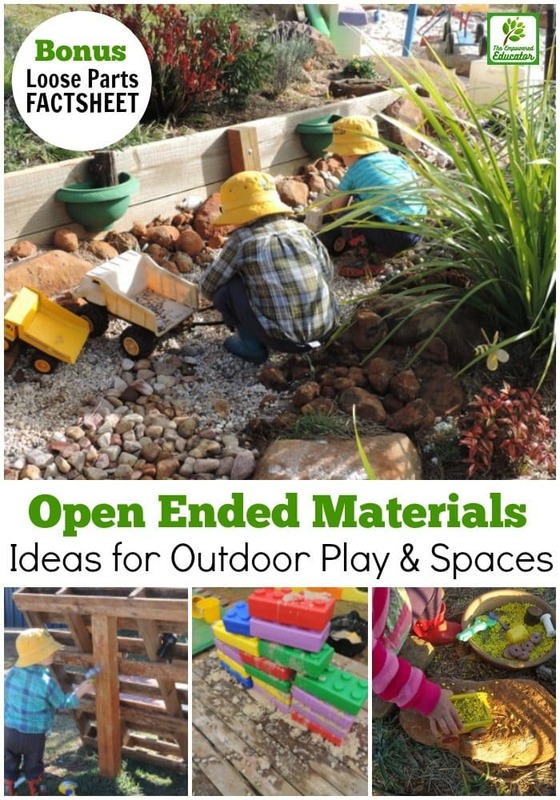 I hope you are feeling inspired to begin incorporating more open ended materials into your outdoor environment to increase the opportunities for open ended play, exploration and discovery. If you would like to download a factsheet with some of the tips in this post and an additional list of material ideas to get you started on a loose parts collection just click on the image below. 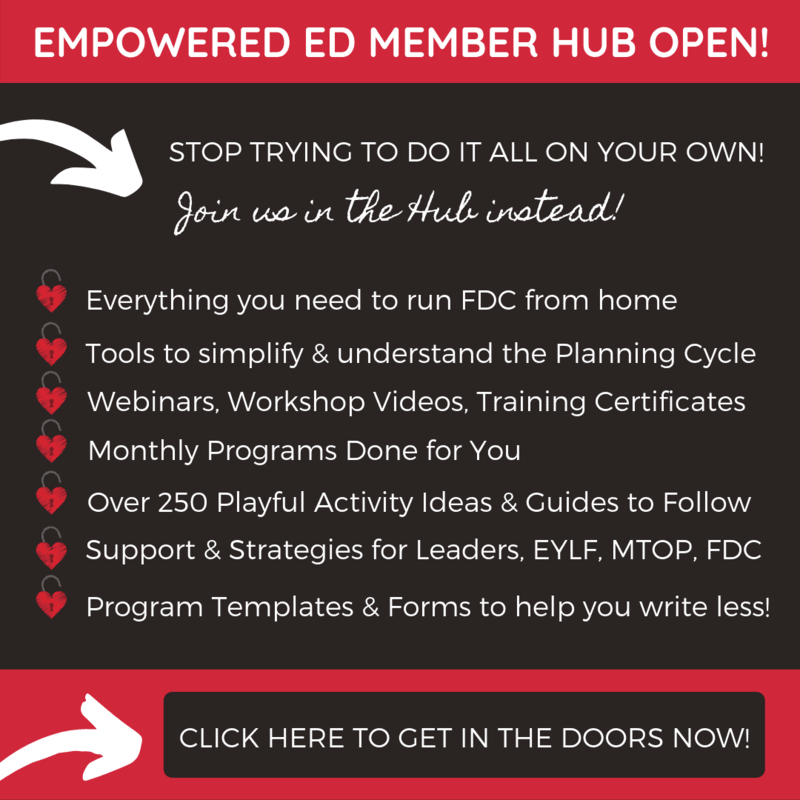 The Empowered Ed Community HERE. Fabulous, Jodie! I just love all that you share. Thank you so much for mentioning my post. We’re on a journey, in our outdoor area, but getting there slowly! Thanks Rachel!The journey is the fun part and you guys are certainly having fun creating, thanks for letting me share your work! Hi Thanks for sharing these photos and ideas. Would it be possible to see an example of the brief notes and the way you explain the learning that occurs for a couple of the photos. This would be most helpful as I find that justifying this kind of play is sometimes the difficult part with some colleagues and parents. You have inspired me in so many wonderful creative directions this morning. Terrific all the environments you’ve created! Can you tell me what are the orange plastic pieces the children are often using to step on, they’re somewhat triangular shaped? Can see them being used in so many ways? Thanks again for the inspiration! Hi Celeste, so wonderful to hear you have found some inspiration with this post. The triangles I think you are referring to are planter pots – they stack on one another for strawberries, herbs etc but I use them in lots of different ways and just found them in my local $2 shop although have also seen similar in garden centres. 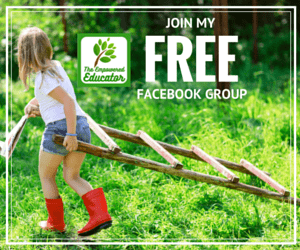 They have been a fantastic budget friendly resource! Thanks for this! Will definitely be using this!